Like 1 multi-purpose skin care product for your entire body ? This multi-purpose skin care product will meet your hair and body needs from head to toe. It’s unique formulation of shea butter, cocoa butter, calendula infused oil, pumpkin seed oil, vanilla bean oil and sea salt works as a body exfoliator, body scrub, moisturiser & cleanser in one. What’s more, it also works as a hair wax for creating the ultimate hairstyles. 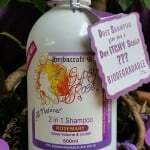 This multi-purpose skin care product will meet all your hair and body needs from head to toe. 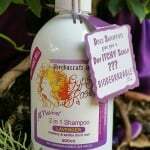 Furthermore its a unique formulation of shea and cocoa butter, calendula infused oil, pumpkin seed oil, vanilla bean oils and sea salt. As a result it works as a body exfoliator, body scrub, moisturiser & cleanser in one. Most of all the combined ingredients create a soft relaxing vanilla aroma. All while acting as a light scrub cleansing and moisturising your skin at the same time. It is therefore guaranteed to leave your skin feeling supple and nourished. 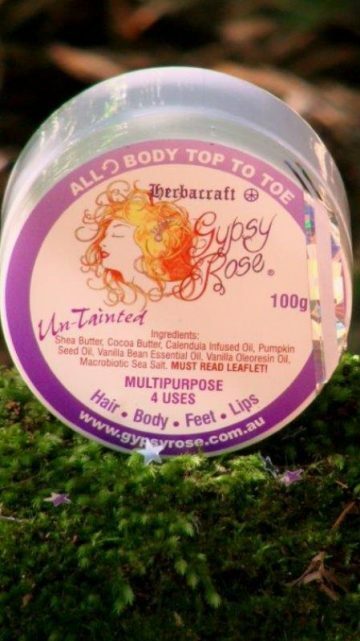 The Gypsy Rose Australia All Rounder Body top to toe moisturising & exfoliating body scrub features macrobiotic sea salt crystals. Aimed to lift off dead skin cells, the blend of high quality butters and plant oils help to moisturise skin, leaving skin smoother. The exfoliating body scrub action can also stimulate skin circulation for a naturally healthy looking glow. Please note: This product is not suitable for any makeup removal. 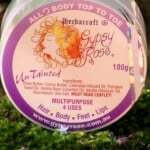 Please use our Gypsy Rose Rosehip oil for all make-up removal. 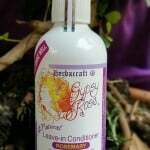 Plus, it can also be used wet or dry as a hair sculptor (replacing hair wax). Also will temporarily put a honey gold tone to light blonde hair. Most of all, to date this gorgeous formulation is our truly highest performing multi-purpose product yet. Most noteworthy is the numerous testimonials we have been sent since its creation. Rather impressive in regards to uses we have never laid claim too. Due to its unique combination of gentle pure ingredients, its an outstanding body exfoliator. Due to temperature changes over time, the product will change in look and colour. That is, it can have the appearance of darker marble patterns on the bottom (this is just the settlement of the vanilla oleoresin oil) and lighter whiter patches through out (this is the cocoa butter solidifying into pieces). This change in appearance will not affect the product’s performance, but if you want the product’s initial yellow gold tones back – put the product in the sun to melt down to a liquid. Then allow the product to reharden at room temperature (or in the refrigerator). QUESTION: It’s winter and my product’s gone hard? Cooler winter temperatures may cause the product to harden and separate into smaller pieces. This will not affect the product’s performance, simply rub harder to melt down the product into your skin. QUESTION: How long does a jar last? It depends on how many parts of your body you use it on. But either way – use it sparingly. 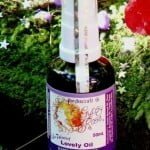 A little of this product goes a long way, as it is very concentrated. QUESTION: Will the salt dry my skin out over a period of time? 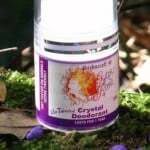 This unique product contains “macrobiotic sea salt” in its raw state which acts as an exfoliant when you rub it in firmly. As the macrobiotic sea salt is combined with cocoa and shea butters, the product also moisturises at the same time. If you do not rub in firmly, you will not get the benefits of the two actions and the salt will not exfoliate the surface of your skin. QUESTION: What is the vanilla flavour? 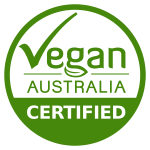 The Vanilla Oleoresin we use in our products is a combination of the oil and the resin of Vanilla Plantifolia. It is not a fragrant oil, and has no alcohol or synthetic additives. The Vanilla Bean essential oil is simply that in its purest form without the resin. PLEASE NOTE: Please allow a 2 week trial to allow the All Rounder Body Top to Toe to improve and fully revitalise your skin’s condition. Wipe the piece over the desired area and rub in firmly. The oil film and shine will disappear in a minute or so. If you apply it to thick it will stay shiny and take longer to absorb, and you are only wasting your product. Wipe a small amount as a thin film over the inside of your palms, and apply by patting lightly and gently. Do not rub in. Please note: You will not notice the full effect until a few minutes after application, so before you reapply – WAIT! Simply apply a light film on lips as needed throughout the day. The product will leave a glistening look if not rubbed in. Please note: initially you may feel a slight tingle – this is the salt cleansing action. Rub the piece firmly and vigorously until absorbed. PLEASE NOTE: For tougher, thicker skin, use product in conjunction with a pumicestone. Follow the initial instructions, pumicestone the area, and then reapply a thin film at the end. For particularly tough skin, apply product as above at night, and sleep in socks to concentrate the softening. Not only does the product act as a Hair Sculptor (Hair Wax without the wax ingredient) but it will give all lighter blonde hair shades (including foils) a honey gold tone. This is temporary and will wash out with your next shampoo. If you have white blonde hair with no gold tone at all, you may not like the gold reflect. Style your hair when wet or dry in the usual way and wipe a very small piece(size of 1/2 of little finger nail) in your hand until it becomes a very thin film. Use your fingers and palms of hands as a comb and rake it through the areas you wish to have separated or textured ( alikened to the look after you have used a hair straightener). Will not appear oily. Please note: do not wipe pieces directly into hair. The thicker the film, appears as a heavier “wet” look. 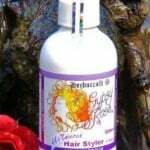 This product may stain if left on material or surfaces for a period of time (due to Calendula oil). Store your product out of extreme heat (ie a locked car) as it will melt to liquid. If this happens, simply refrigerate to reharden. Always have clean hands and apply 1 piece at a time. This product is not suitable for makeup removal. 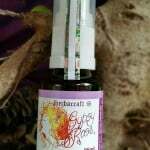 Use our Rosehip oil for this. This a great product for helping with dry hands and also used on any part of the body.